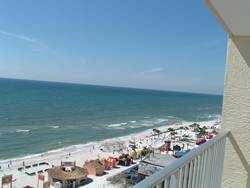 Gulf-Front Condo Spring Break 3/29-4/5 Special! 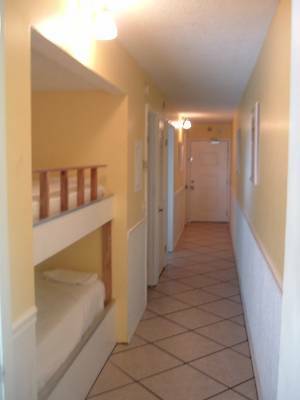 The Panama City Beach condo complex features 2 Olympic size swimming pools(1 heated), 2 kiddie pools, indoor and outdoor hot tubs, whirlpools, saunas, tennis courts, shuffleboard, mens and ladies fitness rooms, game room, coin laundries, ATM, seasonal convenience store, tiki hut, and oyster bar. 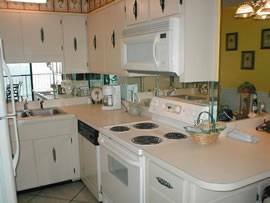 It has gated security and is within walking distance of restaurants, golf course and amusement parks. Complex also has Charcoal grills conveniently located on each side of the building. The Summit is close to the two largest beach clubs in the world, Spinnaker and Club La Vela. It is secure and gated; the parking lot and grounds are patrolled by onsite security. The Summit now has a new ice cream shop and free Internet Cafe. It is a great place to make your family vacation a memorable one! 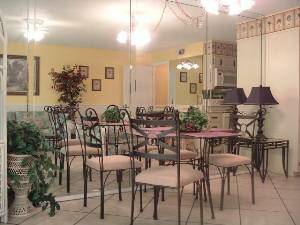 Internet Cafe, New Ice Cream Shop, Gift Shop,Game Room, Fitness Center, Dry Saunas, Tennis Court, Volleyball, Laundry Service, Lounge Bar, Tiki Bar, Indoor and Outdoor Spas, BBQ Grills, Shuffleboard. Our month long stay in Unit 1212 was a very pleasant interlude in our return North from central Florida during the Winter of 2013-2014. It was exceptional in every way. The condominium's location, beach front view and floor plan met all of our basic needs and then excelled in comfort, seclusion, and quiet times. The king bed in the one bedroom unit was very comfortable with adjacent but separate sink and adjoining bath. The half bath area is a pass through with doors available for privacy and isolation, when needed. The entrance corridor leads past the built-in twin bunks to the living area with a full kitchen off the dining area. The sliding doors separate the lanai from the most adequate space allotted for conversation and television viewing. A flat screen awaits with DVD player in the entertainment kiosk. The view from the lanai is spectacular with the sugar sand beach just twelve stories below. Adequate deck furniture is provided and while our stay was during a Winter month, we still could enjoy some days at the rail for pictures and observations. In all, we had a wonderful stay and found our host most accommodating, very open for communications and a very nice man! We RECOMMEND not only considering this property when planning a visit to Panama City Beach, Florida, but please do commit and find a north Florida treasure. We've stayed since 2005, usually several times a year - so much that it feels like another home for us. We've always been satisfied with our stays (having learned long ago not to be anywhere near PCB during Spring Break). The owners have been extremely flexible, accommodating and easy to work with. 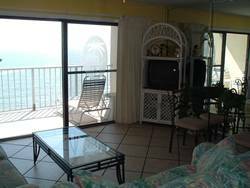 1212 is clean and neat and provides a great view of the Gulf. We've recommended it to family and friends and will continue to do so. Thanks, Fenglan and Qibo, for allowing us to stay and visit. 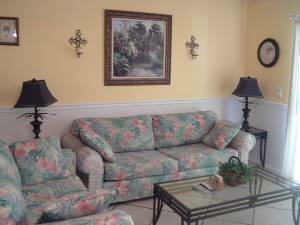 Comfortable condo with great view overlooking pools and beach. 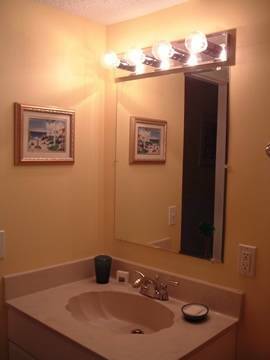 Centrally located and convenient to restaurants, nightlife and St. Andrews State Park (highly recommended). Did a lot of looking around and one of the best values to be found. Thoroughly enjoyed our stay. I LOVED your condo. It was very well decorated and very comfortable! It also had a perfect view of the ocean. Thank you so much for letting us stay there! We enjoyed our stay there - it was nice having room to spread out!! 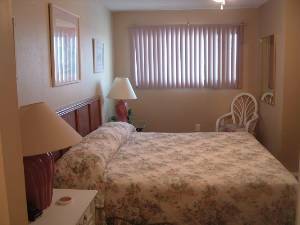 The complex is very nice and we would definitely consider renting from you again in the future should we decide to vacation there again. I just wanted to thank you for renting to us. Your place is beautiful! It was very clean and everything thing was in great shape! The weather was nice but the beach could have been better. Thank you again and if we go to PCB next year I will give you a call. Everything was awesome,the location of the condo, the ease of finding everything from a central location. The staff were friendly, and dealing with the owners was very easy. We got a great deal and will come back on our vacation next year. the beach could have been better. Thank you again and if we go to PCB next year I will give you a call. there and I suspected that they may try to increase the owner's fees to cover the cost. Hope not!! All taxes and cleaning fee have been included in the rates listed above. For more information, please feel free to contact owner at (850) 294-0265. Deposit: Reservation/damage deposit is $200 ($480 for Spring Break). Must be at least 18 years old to rent. Cancellations and Refunds: Full refunded if mandatory withdraw due to hurricane; Full refunded if cancelled 30 days prior to check-in. Other Fees: $15 plus tax will be charged by the Summit office for weekly parking permit on the gated and 24-hour secured parking lot.